Misti Boland has worked as production designer and art director on over thirty films, including the Lions Gate horror film Nailbiter, The Sublime and Beautiful, which premiered at the Slamdance Film Festival, and the western, The Only Good Indian, which premiered at the Sundance Film Festival. As a writer / director her shorts have screened in dozens of festivals, winning "Best of Fest" and "Audience" awards along the way, including her most recent, COURTESAN, co-directed with Jeremy Osbern, which just played at the 2015 Slamdance Film Festival. Jeremy Osbern is an Emmy award-winning cinematographer and writer/director. As cinematographer, Jeremy shot the Kansas City on-location photography of the Bruce Willis movie RED, the Sundance western The Only Good Indian (with Matt Jacobson), and The Fat Boy Chronicles, which became the sixth most-watched family film the year it was released. As a director, Jeremy has shot national spots, collaborated with David Mamet, and lensed music videos that have received more than 100 million views. His work is featured as part of a forty-foot permanent video art installation in New York City, and his first feature film as writer/director, AIR: The Musical, has been sold for distribution across four continents. For ten years Chris has produced narrative, documentary and commercial projects. He has produced content for cable, theatrical releases, and internet everywhere. Films as producer include Spiral Bound, an education documentary directed by Jason Winn, The Sublime and Beautiful, which premiered at Slamdance and was picked up for distriubtion by Candy Factory, and AIR: The Musical, which has been distributed in North America, Australia, China, Taiwan, and South Africa. Stephen Deaver has edited nationally released feature films like Kevin Wilmott's Jayhawkers, Diane Glancy's The Dome of Heaven, starring Wes Studi, and Last Breath, which has been distributed across the world. He's cut short films that have screened in festivals across the country. He's crafted documentaries about a legendary artist, a changing education system, and students on the front-line of tragedy. Nathan studied music composition at the University of Kansas under Kip Haaheim, Scott Murphy and James Barnes, before working under some of the biggest names in the film music industry, including Hans Zimmer, Christopher Young, Henry Jackman and Christopher Lennertz. He has composed scores of films for a variety of genres. Nathan is an accomplished sound editor and production sound mixer, having worked on dozens of feature films, commercials, and corporate projects. Nancy Robinson has worked as a wardrobe and costume designer in film and television and owns one of the largest inventories of costumes in the Midwest. Her previous film work includes Ang Lee's Ride with the Devil, the Sundance films CSA: Confederate States of America and The Only Good Indian. 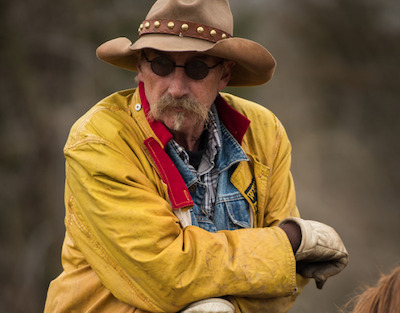 Cowboy Culbertson has worked as a horse trainer, wrangler, and coordinator for years in the film and television industry. His previous credits include the Sundance feature The Only Good Indian, and TV series like American Experience: Jesse James and Secret Soldiers of the Civil War. He also owns and oversees American Frontier Production, which served as several of the Old West locations for RED BIRD. Ashley Mayer has a Master of Business Administration and a Bachelor of Science in Mass Media – Digital Film Production. She first started out as a Production Assistant for Associated Video Producers Inc. & Opfer Communications Inc. located in Springfield, MO. She later took up freelance photography & film while living abroad in the United Kingdom snapping images of castles, festivals, & world-renowned landmarks. After her travels, she was hired as a professional photographer in Orlando, Florida at Walt Disney World Parks & Resorts. Ashley now works at Through A Glass Productions where she has worked on feature films like What We’ve Become and co-produced short documentaries like Together We’re Stronger, as well as a countless commercial productions. Marcus Guider has work in both film and television including NBC, ESPN, and MLB Network, and has been apart of projects that have won many awards through national and international films festivals- including one project that took home a Mid-American Emmy. Natalie and Xandria are an art department team that have worked on a number of film projects, including Misti Boland and Jeremy Osbern's Slamdance short film COURTESAN.